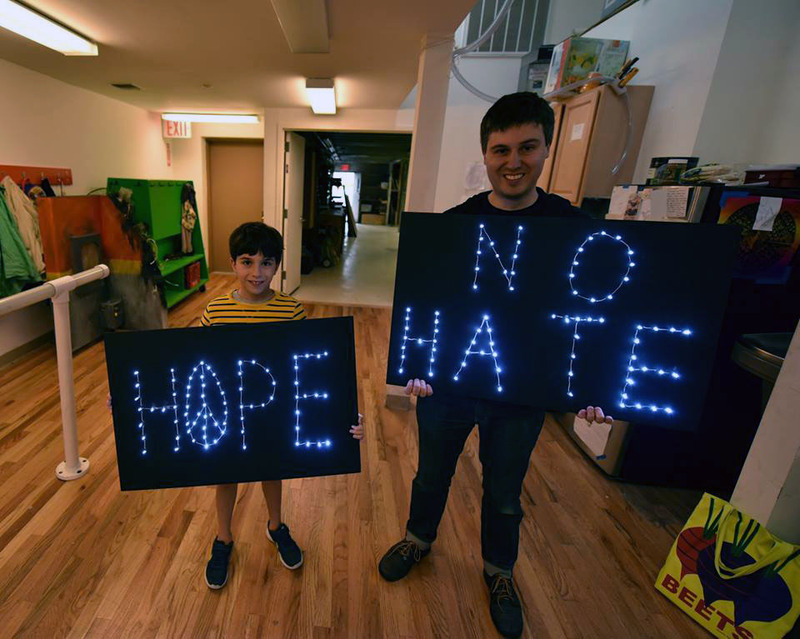 DOEprojekts (Deborah Adams Doering and Glenn N. Doering) created their "hybr" coreform-ideogram in light at an LED protest sign workshop, led by artist-educator-equalist Todd Drake at the Beam Center, Brooklyn, NYC. 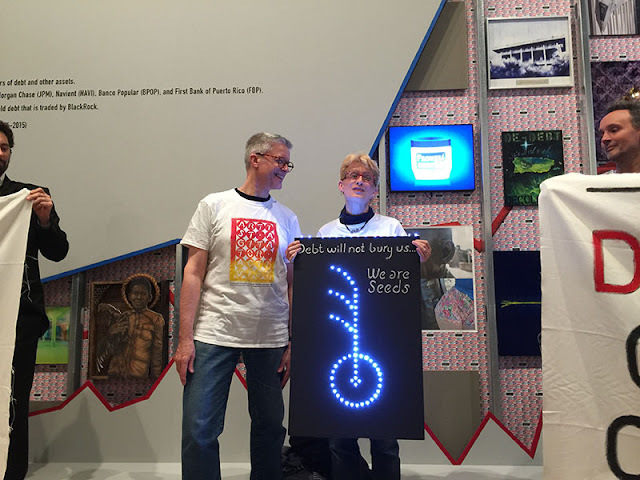 The "hybr" is a hopeful form that is often associated with nature's winged samara seed and/or a musical note. 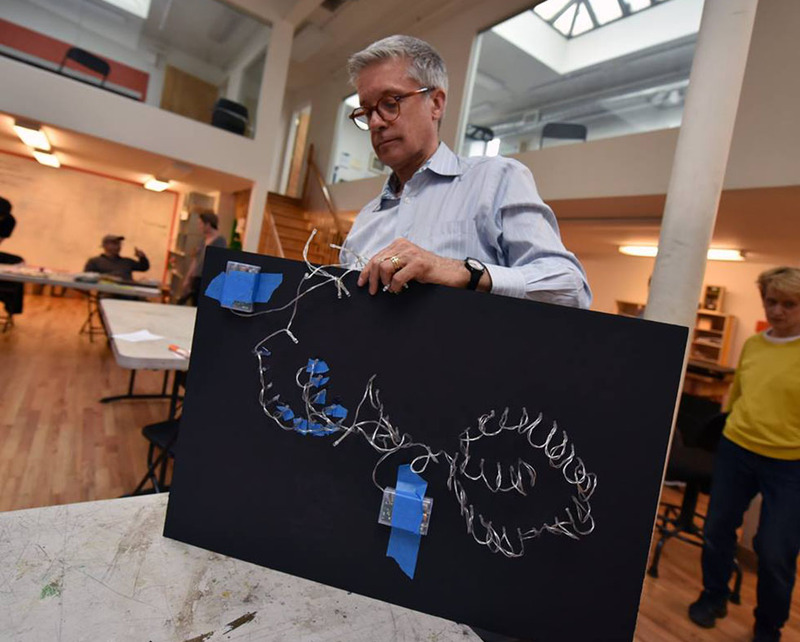 More about corefoms may be found at DOEprojekts.org. The workshop provided space and support for artists and other community members to create powerful visual messages to use at various sites of protest and progressive solidarity. 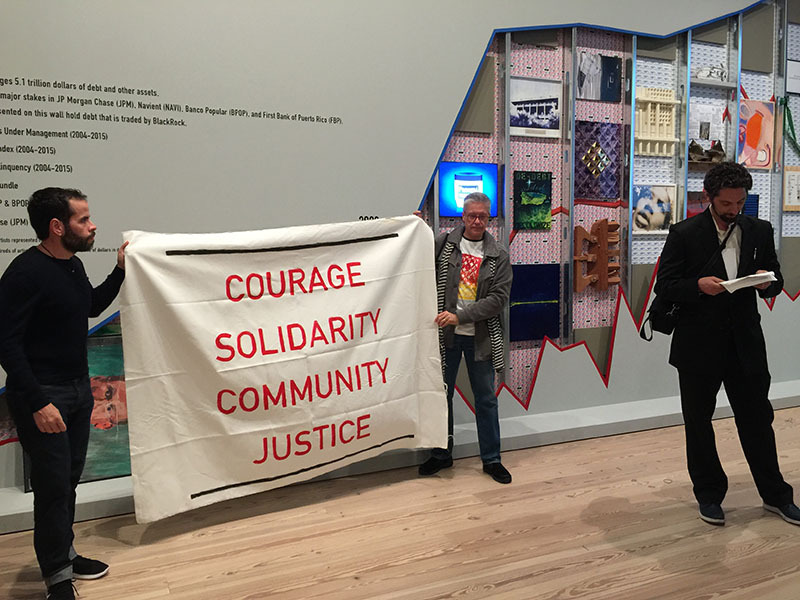 Soon after the April 30th Beam Center workshop, DOEprojekts used their hybr light sign as part of the "Counter-Commencement" ceremony and demonstration held at the Whitney Museum of American Art on Friday, May 5. 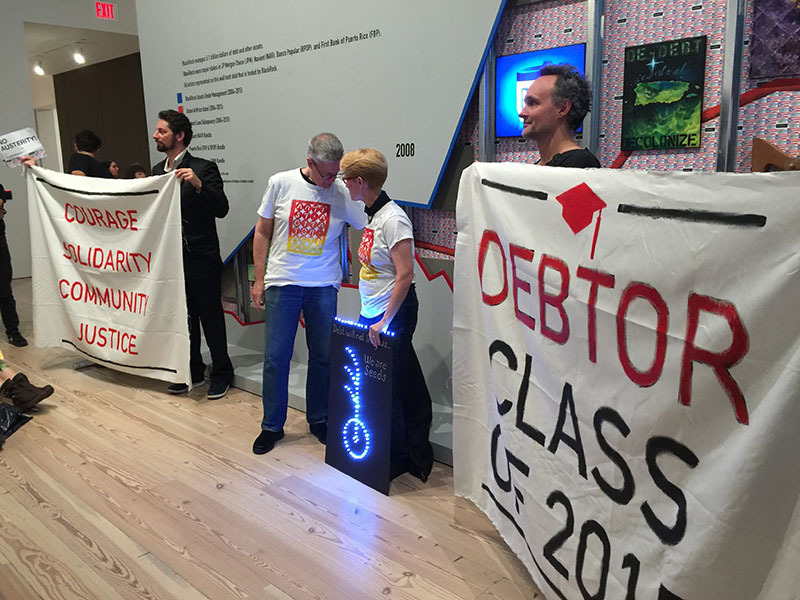 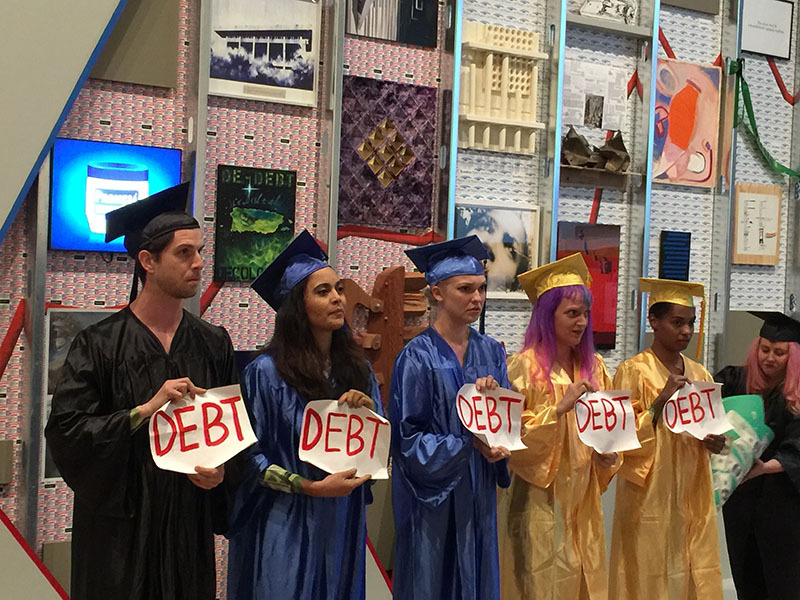 The "Counter-Commencement" took place in front of the "Debtfair" installation, part of the 2017 Whitney Biennial; these art actions expose the gross amount monetary speculation and debt that many students, regardless of age, assume when they pursue higher education in the USA. More about Counter-Commencement and Debtfair can be found in Hyperallergic online and also Debtfair.org. Art activism can be found not only in urban museums, but also rural communities. 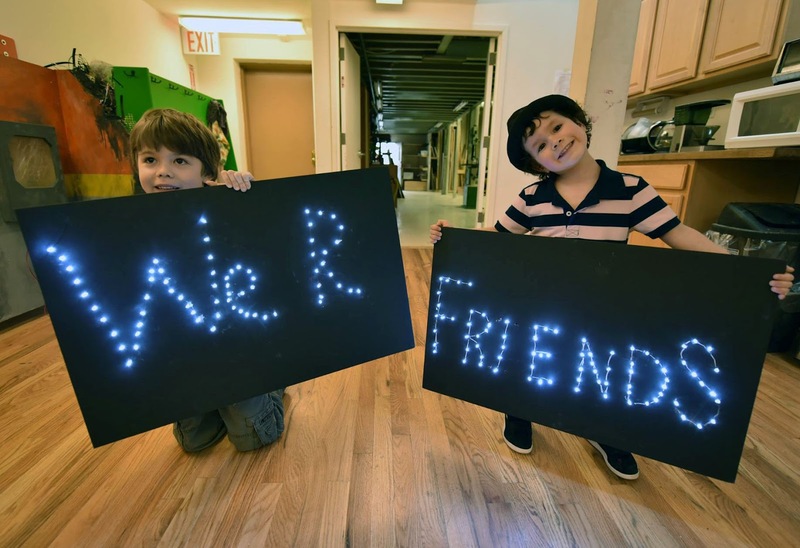 DOEprojekts will be artists in residence at Holden Village, Chelan, WA, this summer. In preparation for their visit, Deborah and Glenn are pleased to be collaborating with professional artist-quilter, Trudy Arnold. 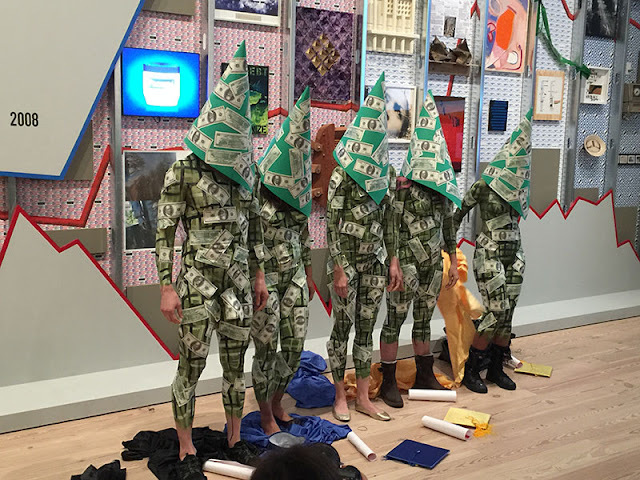 Trudy sent photos documenting her process in planning, compiling and assembling our contemporary collaborative "Hybr Quilt." 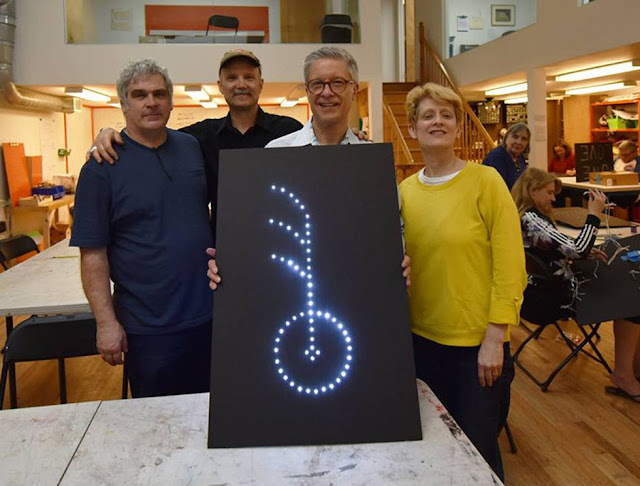 We look forward to working with Trudy, and also Holden directors and artists Chuck Hoffman and Peg Carlson-Hoffman, as well as the entire Holden Village community!